Workbench for area of triangles. 1. Graph triangle ABC with A(2,2) B(2,6) and C(8,2). Use the polygon tool to connect the 3 vertices. Then, use the area tool underneath the angle dropdown to find the area of the triangle. What is the area of triangle ABC? Use A=1/2bh. Make sure the base and height are perpendicular. 2. Use triangle ABC from question 1. A) Double only the base. B) Double only the height. C) Double both the base and the height. A) How did doubling the width affect the area? B) How did doubling the length affect the area? C) How did doubling both the width and length affect the area? Graph the triangle and find the area. You will need to construct the altitude. What is the area? Explain how to find the area of ABC. 4. Graph triangle ABC with A(-2,-2) B(6,2) and C(0,8). Graph the triangle and find the area. You will need to construct the altitude. 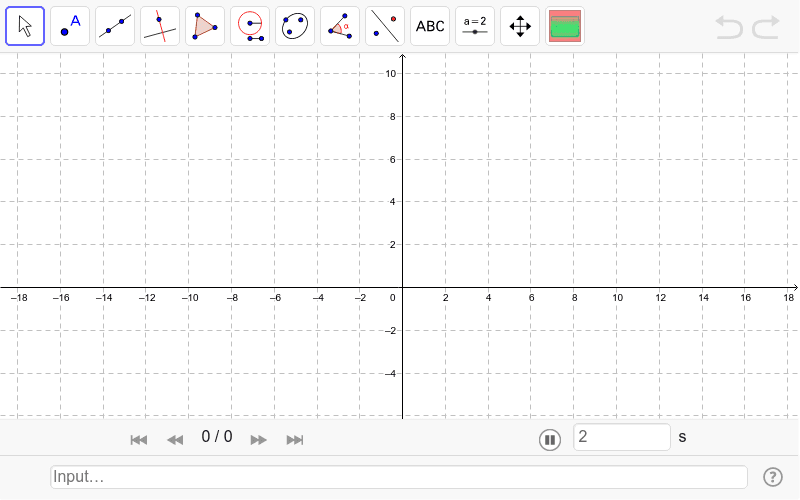 Use the distance tool to find the length of the height (endpoints are not integers). Round decimals to the nearest tenth if necessary.